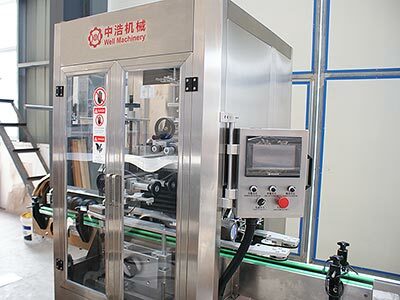 As automatic 9000BPH sleeve labeling machine is one of the higher-content in packaging system equipment,the sleeve labeling machine has been carefully researched and manufactured by Well Machinery. Suitable for all kinds of fruit juice filling, tea beverage filling, dairy filling, pure water filling, condiment filling, beer filling, sports drink filling and other food/beverage industry. 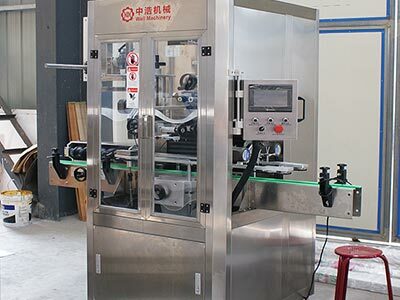 As sleeve labeling machine is one of the higher-content in packaging system equipment,the sleeve labeling machine has been carefully researched and manufactured by Well Machinery. Suitable for all kinds of fruit juice filling, tea beverage filling, dairy filling, pure water filling, condiment filling, beer filling, sports drink filling and other food/beverage industry. Not only is the labeling position highly accurate, but after shrinking, it can better highlight the bottle’s perfect bottle shape. Its sleeve labeling machine is compact and beautiful in appearance, and the overall frame is strong and light and flexible when used.